SILLY SONGS and SATIRE: Collaboration between Gordon Lightfoot and W. Shakespeare: "AS WE NUKE IT"
Collaboration between Gordon Lightfoot and W. Shakespeare: "AS WE NUKE IT"
ORIGINAL POEM: "As We Nuke It" is a parody-poem previously published in medical journals - Nuclear Medicine Communications 2002 and Photon 2004. 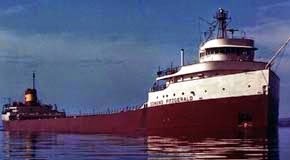 The poem was reproduced on our sister blog (view with above link) with the author's permission. The Shakespearean source for the parody is Jaques' Monologue, from Act iii, Shakepeare's "As You Like It", 1623. 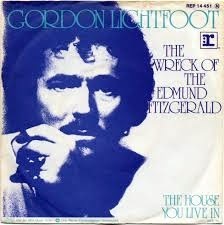 ORIGINAL SONG: "The Wreck of the Edmund Fitzgerald", 1976 by Gordon Lightfoot. PARODY COMPOSED: Giorgio Coniglio, 2013. Its ins and outs all Nuclear’s patients. And each camera-head gets registrations. And the PACS list shows studies int'resting. Absorbed doses quite small, 'though we're nuking. No torsion! the Uro keeps sleeping. Up next there's a bleeder; should he go to "theatre"? No scoped site by rectal or by mouth. Seek hot blip somewhere from antrum south. We assume pressure's high, we've tray ready. And inject, we'll find his belly empty. Is the post-op kidney on the lam? No such luck for its mate now diverting. No peaks or downturns in its curving. Bank organs, yank tubes, and thank certainty. Its in-s and out-s all Nuclear’s patients. And each [G] camera-head [D] gets regis[Asus]trations.